HDPE recycling | Silver Python Machinery Co., Ltd.
Use for HDPE recycling, bottle recycling, used plastic recycling machine. It include cabinet,plastic pelletizer machine extruder,water cooling tank,blower,plastic cutter machine,crushing machine is option. This Set is use for HDPE Bottle/LDPE Film/LLDPE Film. Our HDPE recycling is with Special screw design,speed reducer and high power motor with high torque,to ensure the mixing effect of the material and high output.Its cost of plastic recycling machine is low to save client’s budget. Electrical configuration design according to the actual needs of customers. 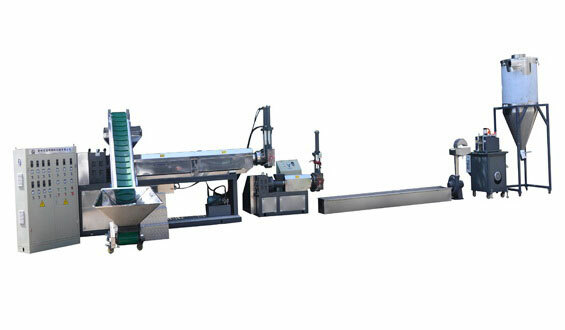 We also have used plastic recycling machine. This set is single stage ,made up of single screw extruder,water cooling tank,blower, plastic cutting machine.And can add convey belt,crusher,agglomerator,mixer,dewatering machine,plastic storage according to customers different demands.Also can add two stages according to material condition.